Blogging Beautifully: Weird and Wonderful Things About Flats! By 2050 the global population is predicted to rise from 7.6 billion to 9.8 billion it's a staggering number isn't it, and with two thirds of us are expected to be living in cities by then, it’s highly likely that we’ll have to get used to living in close proximity to us neighbours, fingers crossed that we all get on! Many people live in flats which account for a large proportion of homes in the UK. The Government estimates that there are around 2.75m private leasehold flats in England – roughly an eighth of all dwellings – and this figure doesn’t actually include Scotland and Wales. So when the blocks of flats insurance specialist Deacon Insurance told us 10 weird and wonderful things about flats past, present and future, it seemed crazy not to share them with you! I love facts and interesting pieces of history so please read on for more! Did you know that it was the Romans who built the first flats, who knew! From the middle of the first century BC, Rome’s success led to an impressive population growth. Housing was a big challenge, and to meet it the Romans learnt to build higher and stronger structures. 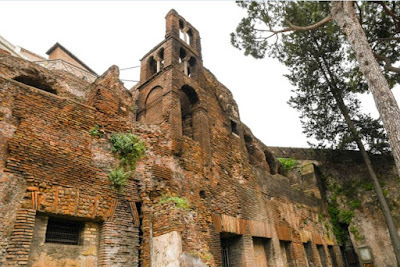 The use of concrete, based on lime and volcanic sand, allowed them to create new architectural forms, while a standardised brick allowed for speedy and reliable construction. Their early multi-storey blocks, most with shops on the ground floor, and flats on two or more floors above, were called insula or "islands". 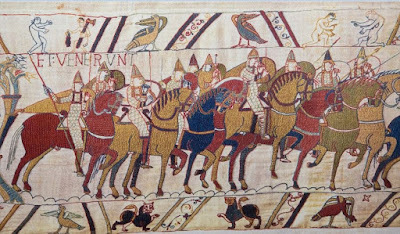 This was because they often occupied a whole entire city block, with roads flowing around like the sea. Wow! 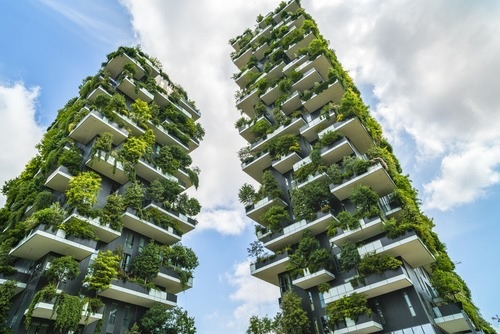 There are two apartment buildings in the heart of Milan where trees sway on balconies and sunshine touches the leaves of thousands of plants creating a vertical forest. This is the brainchild of Milanese architect Stefano Boeri, the Bosco Verticale (Vertical Forest) uses more than 20,000 trees and plants to adorn the high-rise buildings from top to bottom – a project now being exported all over the world, from China to the Netherlands. Few people would deny that trees are good for cities and the people that live in them – so more power to his elbow. How gorgeous do these look? This is one of those stories that just has to be read to be believed. 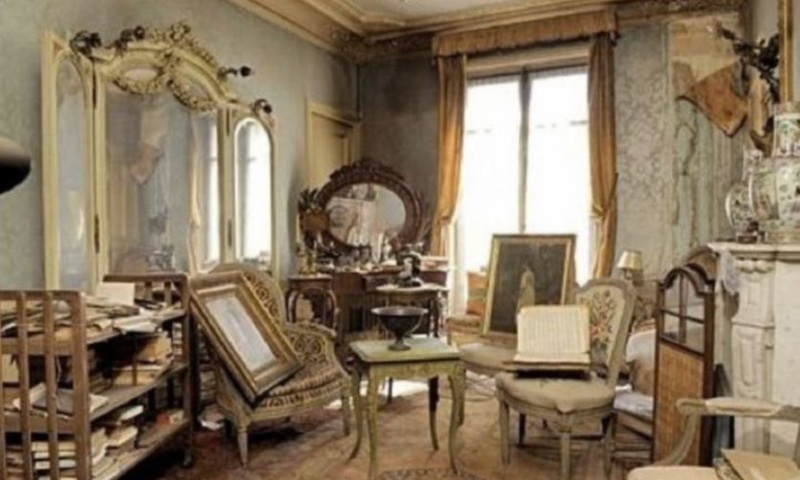 Way back in 1934 and before the outbreak of hostilities of WWII, a famous actress called Marthe de Florian fled her Paris apartment for the south of France – and she never returned. Nothing remarkable in that, but what is extraordinary is that the owner of the building never noticed! When he finally died in 2010, the experts called in to assess the value of his estate stumbled across a scene that was frozen in time. The flat was just as it had been left, untouched by time! How unbelievable is that. It may sound like the thing of science fiction, but the world’s first shape shifting rotating tower block is set for Dubai by 2020 according to architectural firm Dynamic Group. How things evolve, I would love to see it! Some of the biggest re-cycling projects of the millennium are taking place in our inner cities, familiar buildings are being saved from demolition or neglect by being converted into flats. This is great as it means the original character and features of what are often landmark buildings are preserved. 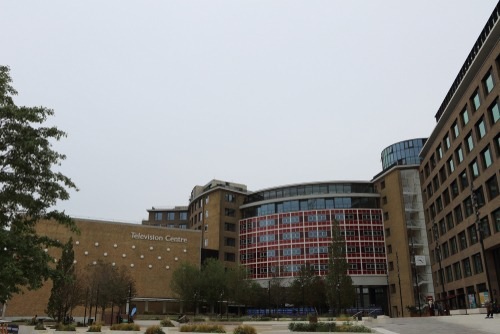 The BBC Television Centre at White City is one example, as is Battersea Power Station and the Hoover Building in London. The first residential tower block in the UK, "The Lawn", was constructed in Harlow, Essex in 1951. It too is now a Grade II listed building. Conversions are taking place across the country and there seems to be no shortage of buyers for urban loft apartments in prime city centre locations, so expect the trend to continue. 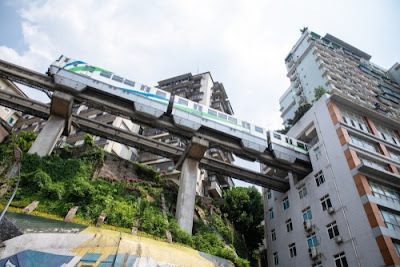 Chinese planners didn’t let a little thing like a railway get in the way of the need to build more flats in the emerging mega-city of Chongqing. The train line simply goes straight through the residential building! Pretty crazy! 7 Tallest, Smallest, Largest – where in the world?! Dubai’s iconic Burj Khalifa is currently the tallest skyscraper in the world standing at 72 metres high, but that is set to change. 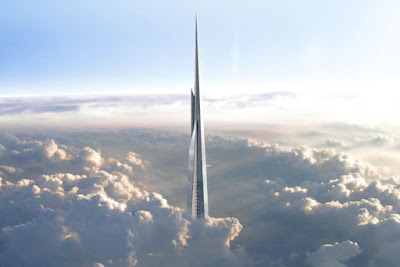 In the near future, 2020 in fact the 1000 metre mile high Jeddah Tower, with serviced apartments, is set to claim the prize of being the world’s tallest building..... well for a little while anyway. While in the Chinese city of Wuhan, with serious concerns of overpopulation looming, they've gone tiny. The city has built two person apartments that are only 50 square feet! But when it comes to the largest, then first prize has to go to The Copan Building in São Paulo, familiar to Sim City players as a building they can drop in. The 38-story residential building comprises over 1,160 apartment units and is home to more than and 5,000 residents! 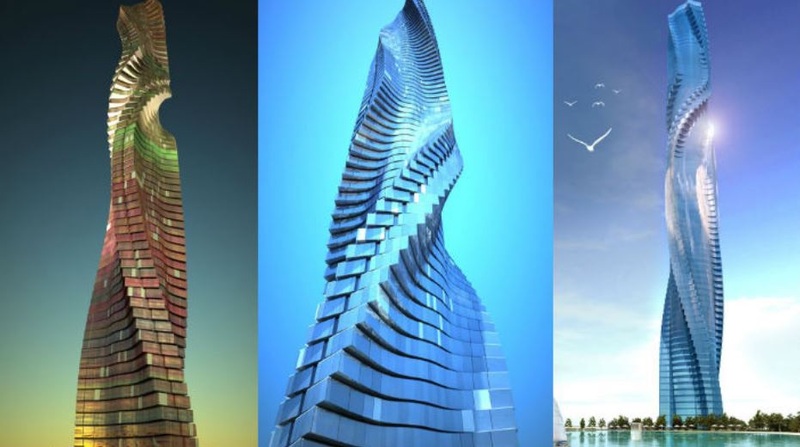 It seems like the stuff of science fiction but architects are looking seriously at the possibilities of building down rather than up! Sounds crazy doesn't it?! As long ago as 2011 a so-called Earthscraper for Mexico City was mooted, a 35-storey upside down pyramid. The concept is still on the drawing board, with a host of practical and structural challenges to overcome, and the Mexico City proposal is still the only plan to have been seriously put forward. And with 70% of the earth’s surface covered by water, surely underwater cities are next? 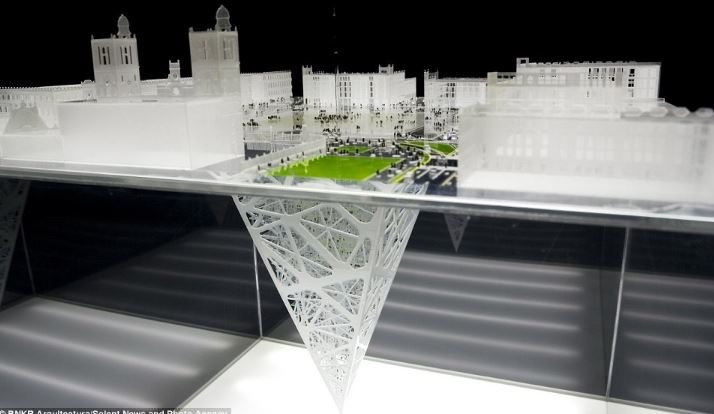 Sure enough, Aequorea, a visionary city that would be built off the coast of Rio de Janeiro, has been proposed. It’s no surprise at all that London ranks No.2 in the world for the highest cost of a city centre flat , second only to Hong Kong, but how does the cost of living vary within the UK? MSN Money took a look at the different costs of living in UK cities , with housing the major component. Not surprisingly London came out top, where you need £7090 a month to live a comfortable life. Oxford, Edinburgh and Brighton came next at around £5000 a month. Ouch! Of course, you can choose to commute and halve your living costs. Southampton residents need ‘only’ about £3000 a month, for example, although after years of rail strikes and woes, that could be cold comfort. If money were no object? Oh if only! The UK's most expensive flat was valued in October 2018 at £160 million. It's address? 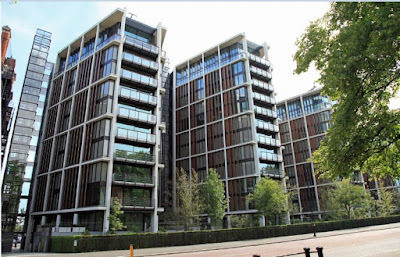 One Hyde Park, London. SW1 one of the most sought after postcodes! People are often amazed to learn that, in this day and age, it is still possible to lose your flat and be left with nothing if you break the terms of the lease or don’t pay service charges. That applies no matter how long you’ve been paying your mortgage or service charges. 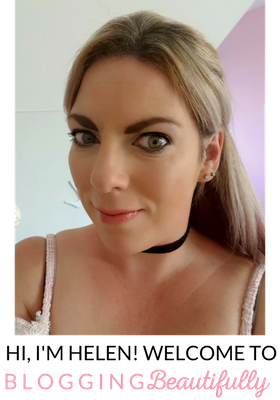 Realistically, it’s become harder over the years for a freeholder (also known as the landlord) to get you out and claim the flat, but it can happen. Where did such a feudal practice come from? Land law in Britain owes much to the feudal system that developed following the Norman Conquest with the rights to grant inferior interests (aka leases) in land and to take income from these. By the 16th century, the law of leases in England and Wales had morphed into a very confusing system, and an attempt to tackle this was the Law of Property Acts 1925, which limited ownership to either freehold or leasehold, which is pretty much where we are today. Interestingly, covenants on freehold property only define what you cannot do. On leasehold they can also say what you must do, for example, pay for the upkeep of an asset still ultimately owned by the freeholder! It’s all very different in Scotland, where no duty to pay ‘feu duty’ - the equivalent of ground rent - could be set up after 1974, and no residential lease for more than 20 years could be created. The feudal structure was finally abolished in Scotland in 2004 and further laws since have converted long leases over 175 years into straightforward ownership.